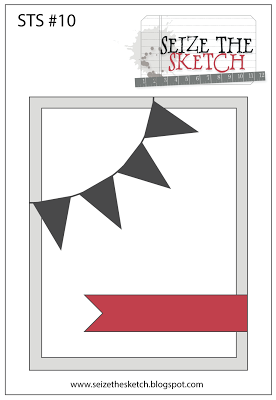 Happy Tuesday and welcome to another fun sketch at Seize the Sketch! This week's sketch was designed by....yours truly. I love banner's, and I decided to use this beautiful holly and berry design as my banner! I hope you find time to play along! We are sponsored by DRS Designs, and they are offering a $10 off coupon to our winner. 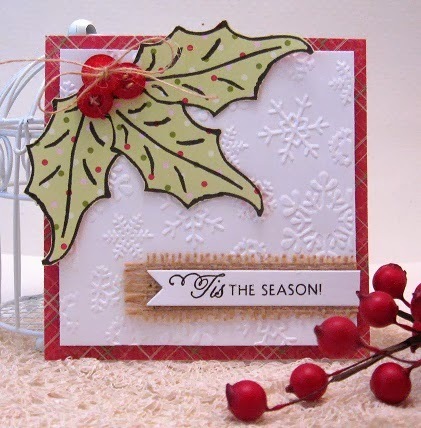 Your paper pieced holly looks so pretty against the white snowflake embossed background! Fab card, Cathy. Love the piece of burlap...great touch!